Just like humans, too much heat is also harmful to your dogs. During the hot weather, they need a comfortable place that will keep them away from the heat of the sun. One of the important investments you can make for your dog is a durable dog house that is reliable during hot weather. These dog houses are made of different materials. Finding the best dog house for hot weather is not an easy task as you need to consider many factors. To make it easier for you to decide, we have reviewed ten of the most popular and highly recommended dog houses. This Petmate Extreme Weather Log Cabin could be the one you are looking for. It will keep your pet dog comfy even during hot weather. The house is made of solid wood that is stained and painted. To make sure it will last longer, the wood has a weather-resistant coating. This dog house will not only keep your dog safe during summer but even during rainy days. The floor is raised off the ground, to keep your dog dry. To let the rain slide off, the roof has a slanted asphalt to prevent it from leaks. You don’t have to worry if you have a big dog or a small dog as Precision Pet is available in four different sizes - small, medium, large and giant. 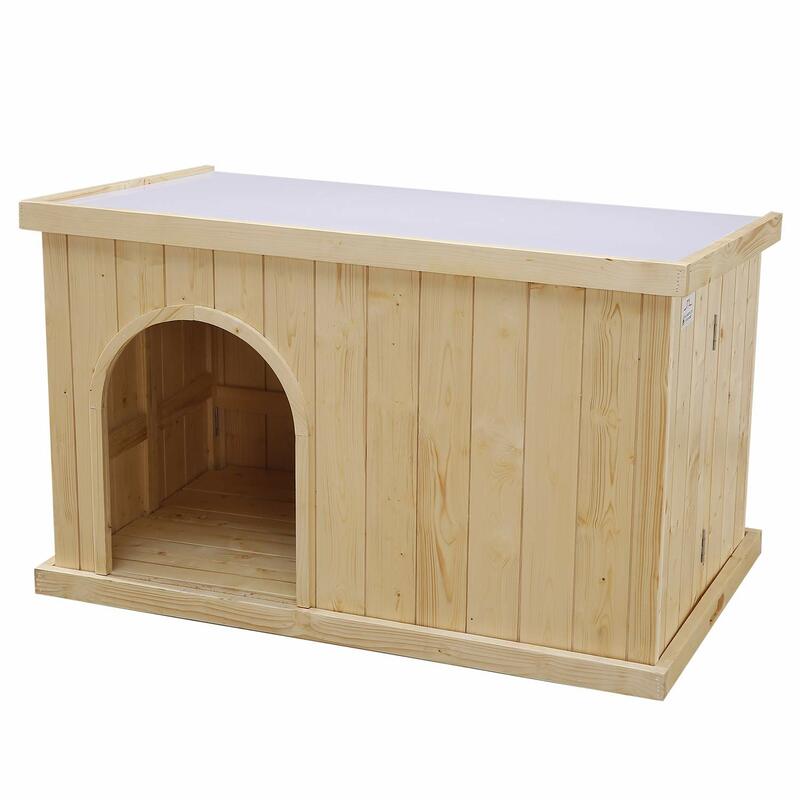 This dog house has a simple rectangular design with an opening on the left side. Petsfit dog house has a simple design but it can fit any type of backyard. This dog house has lots of useful features worth mentioning. Both the pet owner and the dog will surely appreciate this. This dog house protects your pet not just during hot weather but also on a cold and snowy season. It is available in three sizes with a rectangular shape. You get attracted with its cutout entrance that is positioned at the left side. Your dog can easily lay down away from the door. Your dog can move around the house and feel comfortable. 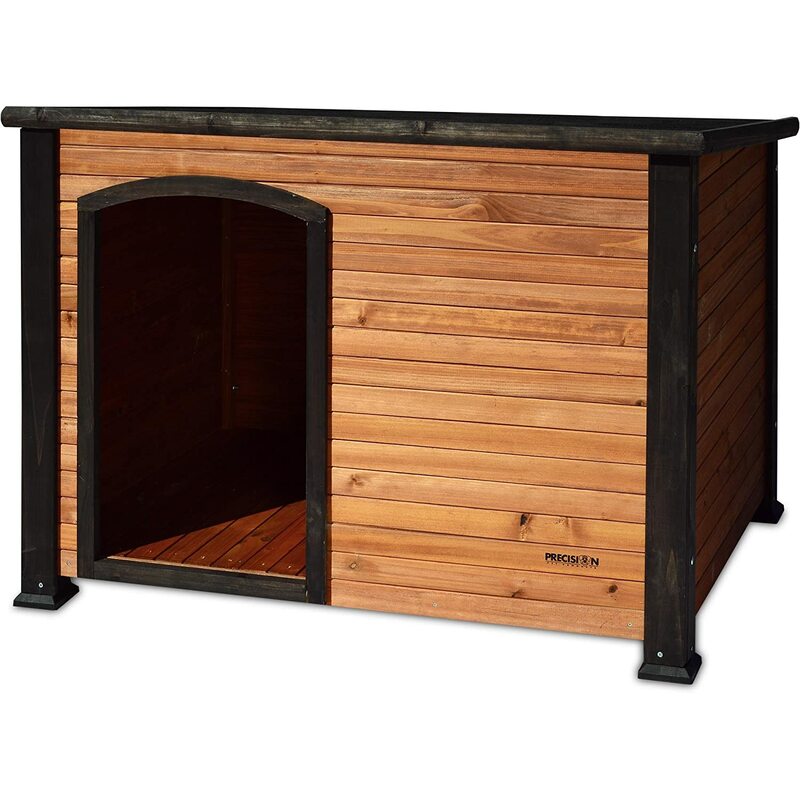 Petsfit Dog House is made from natural cedar with water-based paint to have an attractive look and safety. This dog shelter is waterproof, which means it can protect your dog not only during hot weather but also during rainy days. If your dog wants to sleep in a more confined area, this Arf Frame Dog House could be the best dog house for your pet. You can find four different sizes and they have a high roof so your dog can comfortably move around. This dog house has a roof with a steep slope and overhangs to make sure your pet is dry during rainy season. It has an inner sheet layer, outside it has a layer of wood paneling. The house is made of fir wood with non-toxic paint and has a weather-resistant coating. To add to its appearance the dog house is painted in black to show off the natural wood coloring. The house is designed with multiple panels this makes the dog house easy to assemble. If you are looking for an easy to assemble and disassemble dog house, the JSY Natural Pine Dog House is a good choice. The design can be used both outdoor and indoor. This JSY Natural Dog House has a unique design that most pet owners will surely love. The middle part is foldable to make it more convenient for you to move the dog house. You will not have a hard time cleaning the kennel as you can assemble and disassemble it easily. Safety is important for your pet dogs. This type of roof will keep the bad elements from entering. 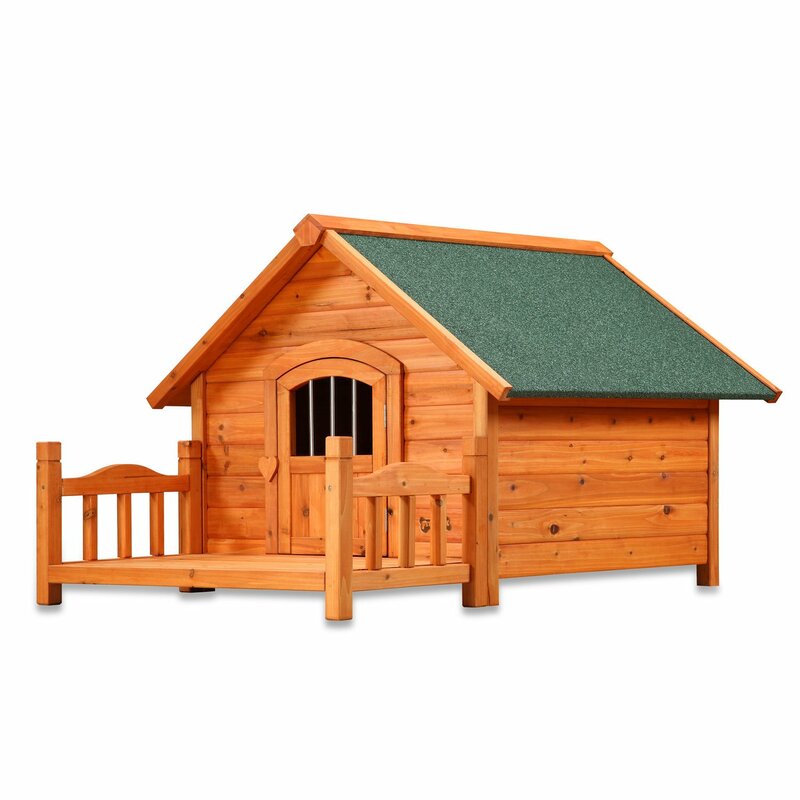 The dog house is made of durable and strong weatherability and is not easy to get destroyed. So you can rest assured that this kennel will house your pet dog longer. 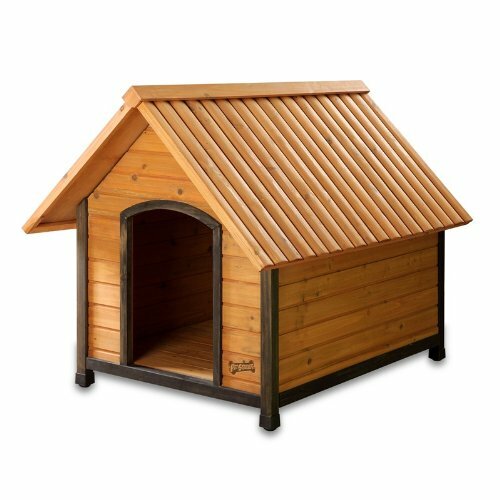 This type of Precision Pet Dog House is known to provide durable, elegant and stylish dog house that is designed for the outdoors. For outdoor dog house, it is important that you look for the one with sturdy construction that can protect your dog against the elements. This Precision Pet kennel is very affordable but with quality. The dog house is weatherproof so it can be placed outdoor. Since the pet house is divided into panels, it is easy to ship and does not require an additional fee for shipping. Assembling this dog house is very easy. It only takes 30 minutes to complete the installation process. The process only takes three steps, the pieces fit well easily. With the use of a screwdriver, everything will be in place in no time. This Porch Pups Dog House by Pet Squeak features a wide porch and a door it provides your beloved pet a lovely place of his own. One of the determining factors in choosing the right size of your dog house is the weight of your pet. It would be a disaster if you choose a small house and you have a heavy dog. Another factor you need to consider is the personality of your dog. This dog house is recommended for slightly active dogs. Porch Pups Dog House by Pet Squeak is available in three sizes - small, medium and large. 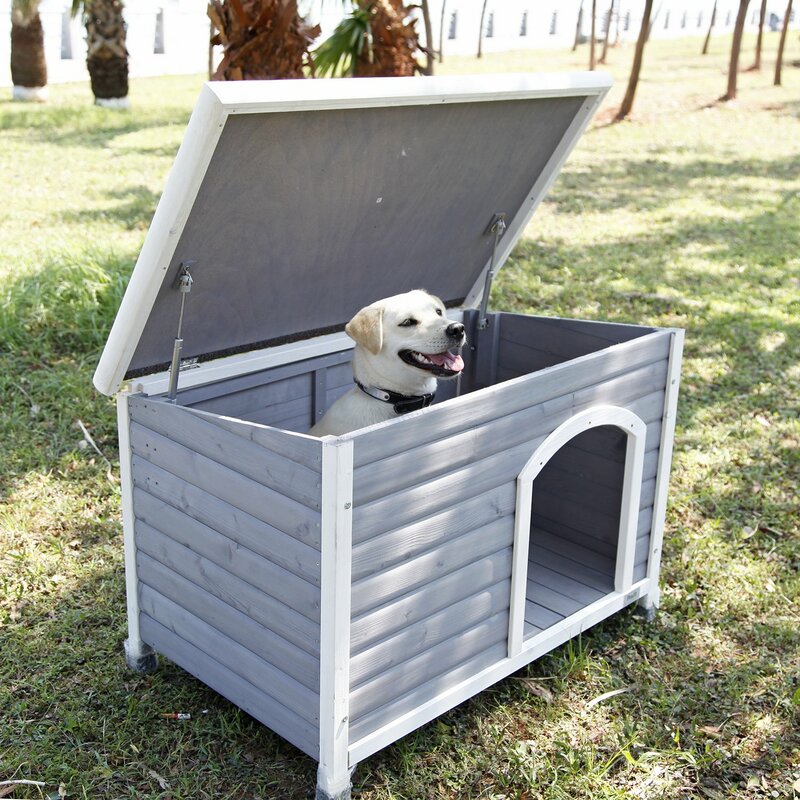 Your dog will be living in style with this lovely outdoor dog house. It has front porch perfect if your dog wants to nap under the sun. 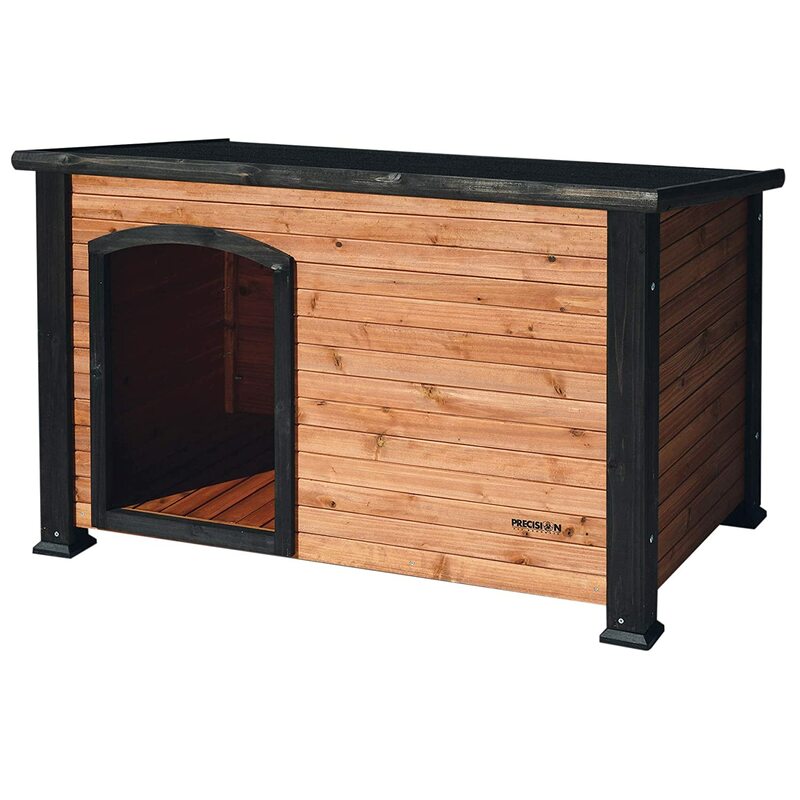 This dog wooden house is ideal for your pets, particularly for medium-sized dogs or puppies. Tangkula Wooden Dog House interior provides lots of room for your dog to get comfortable while being protected against the hot or cold weather. The front deck is spacious enough to take lounge in the sun and have a nap. If it is too hot outside, your pet dog can enjoy the house interior and relax. It has a window to allow air to flow freely. It is raised from the ground to keep them dry during the rainy season. The Tangkula Wooden Dog House is built from solid fir wood coated with non-toxic sealant. You can depend on its sturdy frame and reliable performance. Assembling the pet house is very simple you just have to follow the instructions. ​Side window for proper ventilation. 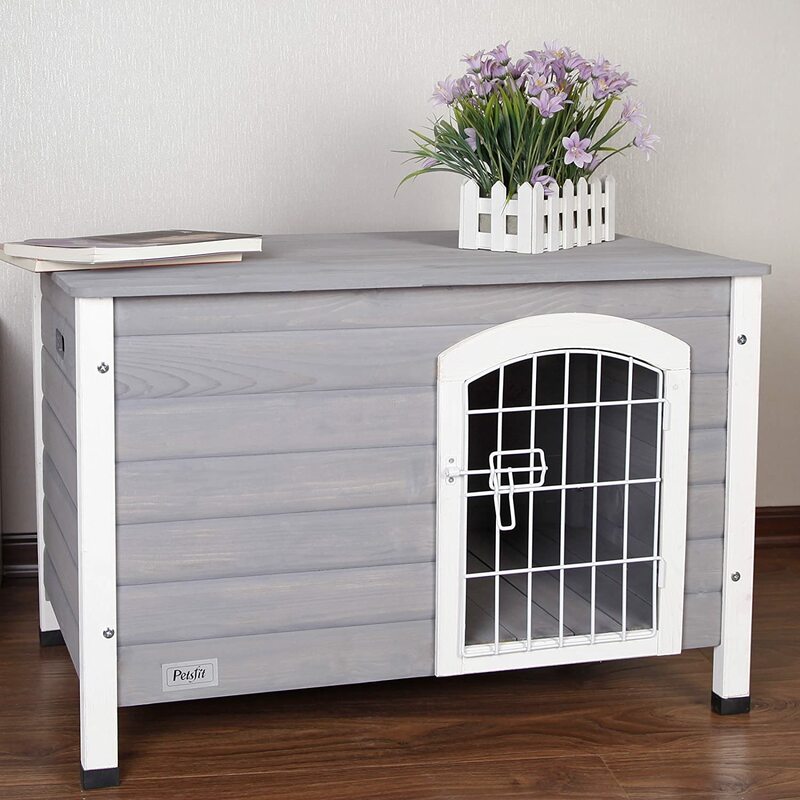 If you are looking for a wooden crate that will complement your house decor then the Petsfit Indoor Wooden Dog House is a good choice. This kind of wood and wire dog house is quite aesthetic and it fit in your home perfectly. 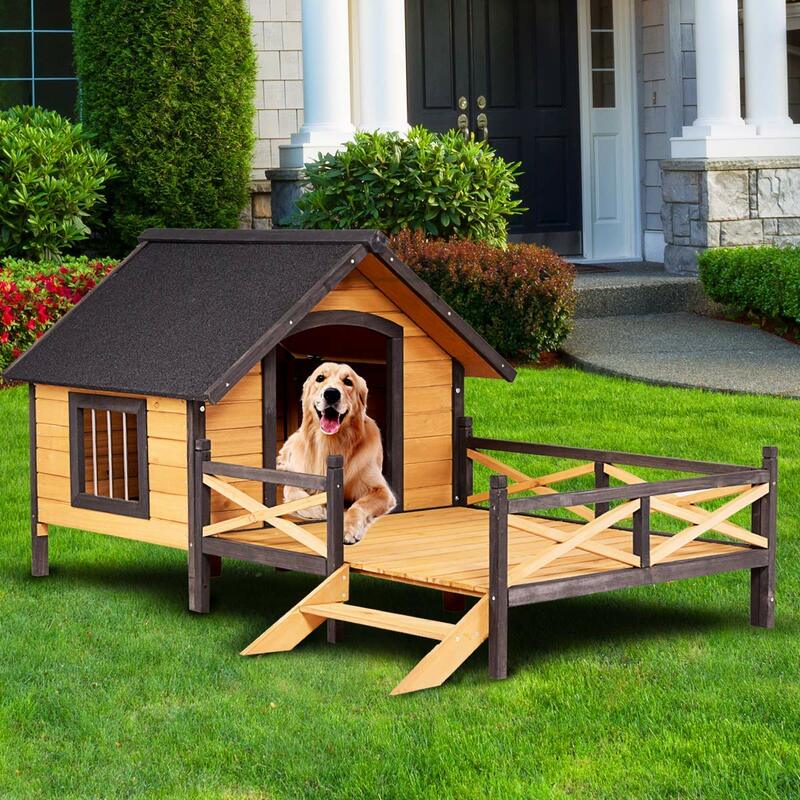 This dog house resembles the actual house and it requires less maintenance. It has a large secured doorway and windows on both sides. It is very lightweight and easy to assemble which makes the dog house portable. Petsfit Indoor Wooden Dog House is comfortable for your pet and at the same time provides an aesthetically-pleasing design for your home. Finding the best dog house for your pet is not easy. But if you keep these factors in mind, you will not have a hard time finding the best. It is best to choose the one that will complement the interior of your house or backyard. Getting an aesthetically-appealing design dog shelter is a good idea. You can choose from furniture-type, portable crates, barn shape and others. 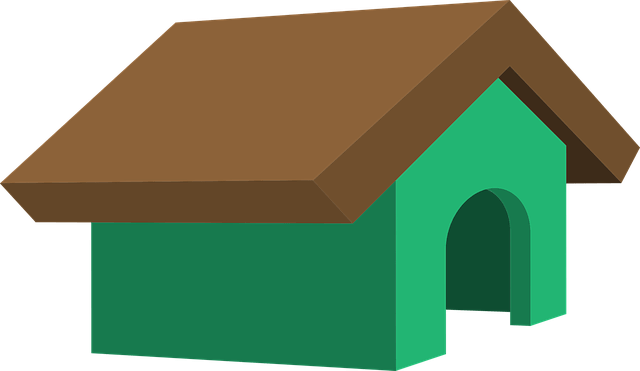 You may tend to move the dog house on a different location until you find the perfect place. Thus you need to find the one that is lightweight and portable so you will not have a hard time moving it. For this case choose the one that is made of either oak or cedar wood. Sometimes you thought you have saved a lot if you buy a cheaper dog house. But after a long run, you realize that it is hard to maintain that it actually cost you a lot. It is also best to get a pet that is spacious enough for your pet and has all the features needed. Insulation is important to protect your pet from extreme weather. It is usually installed in the roof panels and walls. But for indoor dog houses, insulation is not required. Natural insulation can be found on dog houses made of wood. Durable dog houses are very important for bigger dogs that usually stay outdoors. Small dog breeds are normally kept indoors so you can buy dog houses that are less durable. Our top pick is the Precision Pet by Petmate Extreme. One of the reasons why we choose this is the quality of materials used. It is made of solid wood which makes it very durable. It also has natural wood insulation that is very convenient for your pets. Its raised ground feature will keep your pet dry and protected against other elements. You can also use it both indoor and outdoor because of its sturdy structure. Hope this article was able to help you find the best dog house for hot weather. If you find this post helpful feel free to share this with others.